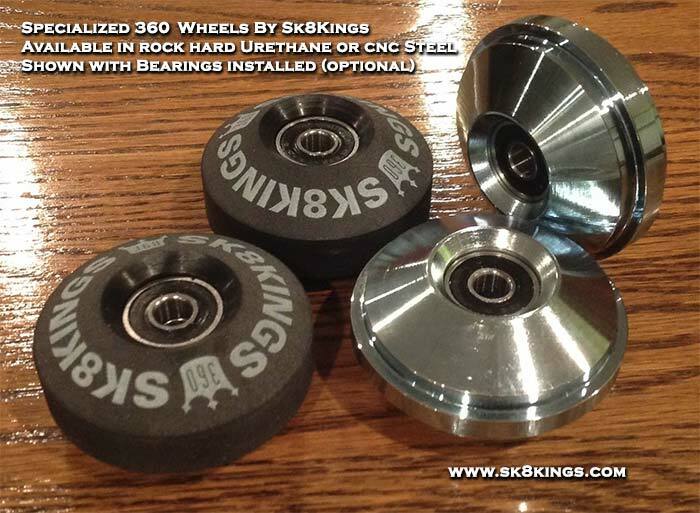 Specialized wheels for 360 spinning enthusiasts -- rock hard urethane wheels that go off the A durometer scale! 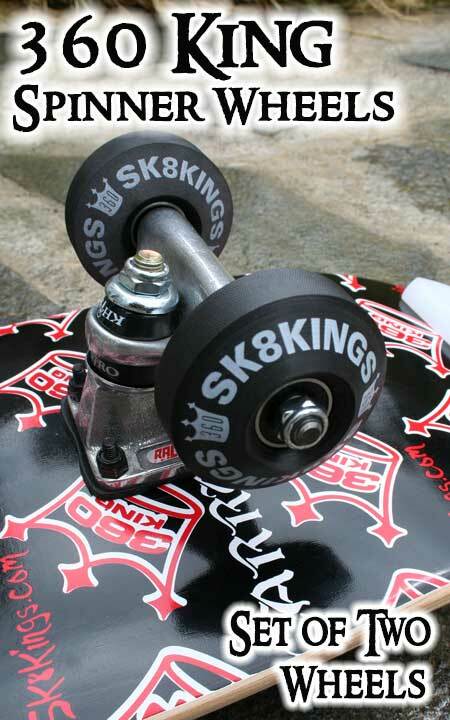 The 360 King Spinners offer specific traction and sustainable speed for 360's -- bridging the gap between regular skateboard wheels and our high performance steel Record Breakers wheels. 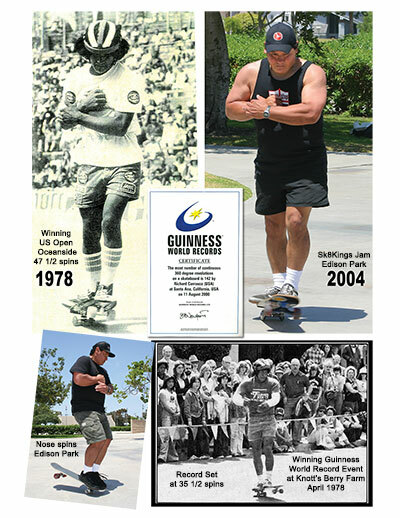 Intended for use on smooth to slick concrete surfaces for 360 spinning. The extreme hardness of the wheel material makes a very snug bearing seat - requiring the use of a bearing press for bearing installation. 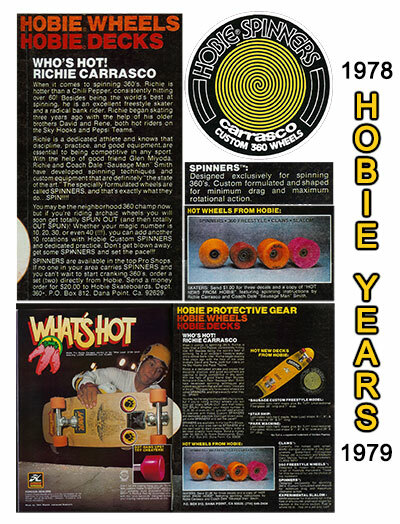 These highly specialized wheels are modeled after the original Richy Carrasco signature wheel - Hobie 360 Spinner - designed by World Champion Richy Carrasco, Dale Smith and Glen Miyoda in the 1970's. OPTIONAL UPGRADES:Bearings - Add a half-set (enough for two Record Breaker steels) of Oust bearings -- choose from Moc 5, Moc 7 or Moc 9 -- to this wheel order. Truck - Add one Tracker Midtrack 85mm truck (can substitute a 106mm size if requested) - to mount your Record Breaker wheels for optimal spinning capability. Bearing Care by Oust -- Order the Oust Met-ol Speed Lube - specifically formulated by Oust labs to maximize the life and performance of Oust bearings, the Oust bearing Kleen Kit or get both for a bundle price savings. Choose options when adding to cart.